The average person doesn't have to worry about paparazzi capturing a photo when you have a wardrobe malfunction. Celebs deal with the picture snappers daily, whether they're feeling camera-ready or not—but thanks to a 28-year-old entrepreneur, there is a way for them to make sure the photo doesn't see the light of day. 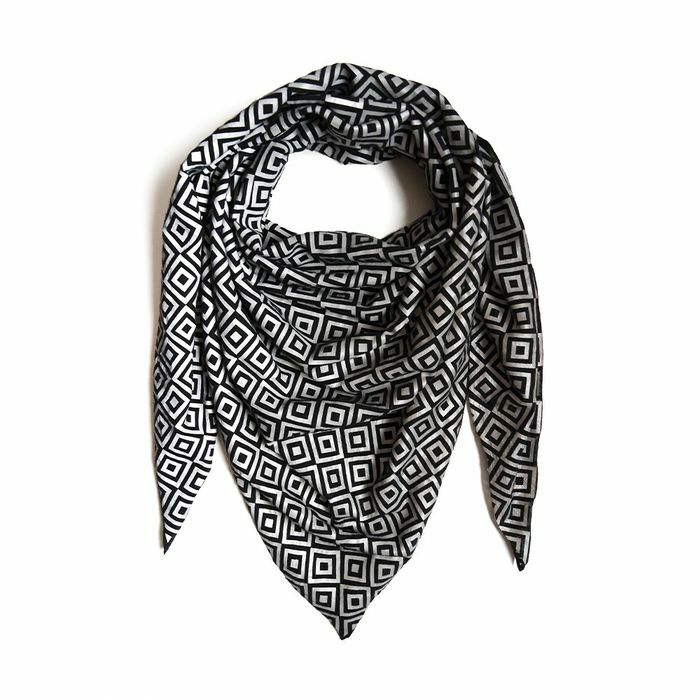 Everyone from Cameron Diaz to the Jonas brothers have been spotted wearing the geometric-pattered Ishu scarf, and it's only getting more and more popular. Ishu was founded by Saif Siddiqui, who tells Buzzfeed Ishu stands for privacy and silence and is a play on the words "issue" and "shh." The anti-paparazzi scarf is made with unique light-reflecting crystals that bounce the flash, leaving the subject totally dark in the photo, thus making the image useless. The flash reflecting scarf also works on video cameras, so it's no wonder celebs all over the globe are flocking to get their hands on one of these. Check out the video below to see the Ishu scarf in action, and keep scrolling to see it up close. What do you think of the anti-flash scarf? Tell us in the comments!